They warn, we’ve got to stop our fighting, our bickering, our useless wars, we’ve got to join to combat the common problems that will destroy us all. There is just too many of us traveling thru space on this little ball which is growing smaller each day. What’s the Solution? Something as to be done… More Laws, more legislation, more controls, tighter regulations, tighter controls, WE NEED HELP! We need a Solution! The only solution (and many of our own elected officials are promoting this) is a ONE world government. Now this Government (like all governments) will need a leader – a man to head it up – a Super person to run the show. The whole world is calling for this to happen. 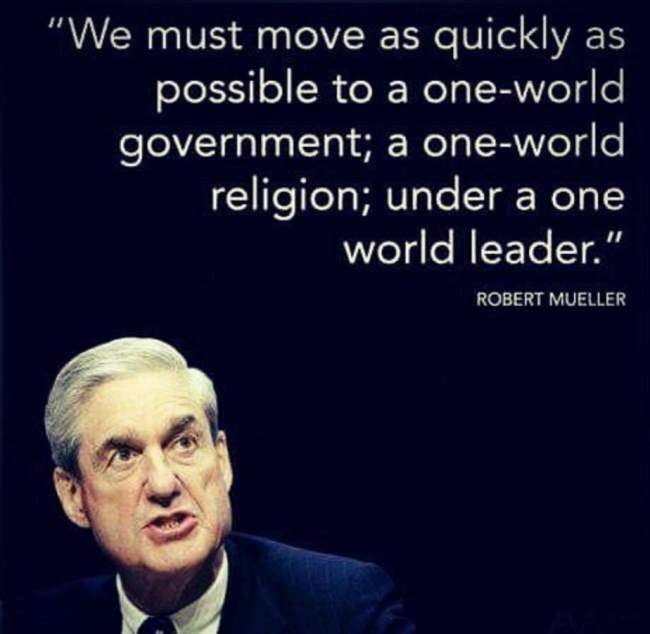 For many, many years world leaders have been stating this very fact and look what they’ve tried: The League of Nations, The United Nations, both man’s efforts at a one world government, ONE WORLD LEADER. What does scripture have to say about all this? What’s the THUS SAITH THE LORD? Then in Revelation 13:1-8 Where he comes from, his kingdom, his power, his authority, even his length of serving. He’s the Beast! Two Beasts: Revelation 13:1 (the 1st beast) and 13:11 beast number 2. Why two Beasts? God is a trinity: The Father, the Son and the Holy Spirit. Satan is a counterfeiter. Isaiah 14 gives us his bold “I WILL” claims. One of these is “I will be like the most High God”. Satan (Lucifer) will copy God’s trinity. Revelation 12:3 gives us the Dragon, Satan’s counterpart to God. The first beast (Revelation 13:1) is the counterpart to Christ. The second beast (Revelation 13:11) is the counterpart to the Holy Spirit. Revelation 19:20 names the second beast “The False Prophet”. The first beast is simply called the “beast”. Daniel referred to him as the “Little Horn” but that’s to show his power not his name. The Christian world calls him the ANTICHRIST. Which means “one who opposes or is opposite Christ”. Antichrist – a person or force seen as opposing Christ or the Christian Church. Christ warned that in the great tribulation (Last 3 ½ years) there would be many false christ’s Matthew 24:21-28. Even now there are those false christ’s around. The ANTICHRIST (beast of Revelation 13) will be a man, a political leader, he’ll be a world renowned person, he’ll appear to be a good guy, solving many problems and offering peace to all. Here’s the question. If we are in the last days (and many say we are), the Antichrist must be around (alive). Who is he? During the last 1900 years many men have been assigned the title, but none have filled the bill. During WW2 a famous evangelist was sure that Benito Mussolini was the Antichrist. Others thought Hitler, and still others said it was Stalin. In 1967 another man, Moshe Dayan was named. Then Henry Kissinger was thought to be the Antichrist. And today other names are suggested. But what’s God’s word say? What’s the THUS SAITH THE LORD? 2 Thessalonians 2:3-12 Let no man deceive you by any means: for that day shall not come, except there come a falling away first, and that man of sin be revealed, the son of perdition; Who opposeth and exalteth himself above all that is called God, or that is worshipped; so that he as God sitteth in the temple of God, shewing himself that he is God. Remember ye not, that, when I was yet with you, I told you these things? And now ye know what withholdeth that he might be revealed in his time. For the mystery of iniquity doth already work: only he who now letteth will let, until he be taken out of the way. And then shall that Wicked be revealed, whom the Lord shall consume with the spirit of his mouth, and shall destroy with the brightness of his coming: Even him, whose coming is after the working of Satan with all power and signs and lying wonders, And with all deceivableness of unrighteousness in them that perish; because they received not the love of the truth, that they might be saved. And for this cause God shall send them strong delusion, that they should believe a lie: That they all might be damned who believed not the truth, but had pleasure in unrighteousness. 1 Thessalonians 5:1-11 But of the times and the seasons, brethren, ye have no need that I write unto you. For yourselves know perfectly that the day of the Lord so cometh as a thief in the night. For when they shall say, Peace and safety; then sudden destruction cometh upon them, as travail upon a woman with child; and they shall not escape. But ye, brethren, are not in darkness, that that day should overtake you as a thief. Ye are all the children of light, and the children of the day: we are not of the night, nor of darkness. Therefore let us not sleep, as do others; but let us watch and be sober. For they that sleep sleep in the night; and they that be drunken are drunken in the night. But let us, who are of the day, be sober, putting on the breastplate of faith and love; and for an helmet, the hope of salvation. For God hath not appointed us to wrath, but to obtain salvation by our Lord Jesus Christ, Who died for us, that, whether we wake or sleep, we should live together with him. Wherefore comfort yourselves together, and edify one another, even as also ye do.